I don’t hesitate to write this post, but I have reconsidered a few times about publishing it. 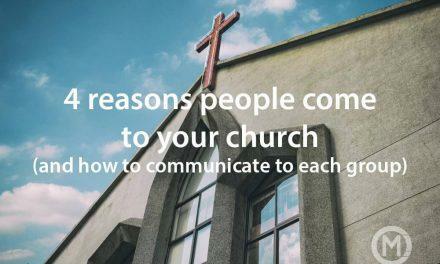 The message is important, and I hope the delivery conveys my heart for how each church is unique. If you start reading, please read to the end to hear what I’m saying. If you can’t do that, just pick another option from the top menu, and let’s still be friends. I’ve had the privilege of visiting many different churches. It’s a privilege because I’ve gotten to see the amazing variety of how churches reach their community and point people to Jesus. It’s truly incredible to see different styles of churches reaching different people. In churches that specifically focuses on creating an environment for unchurched people, we can go casually dressed and enjoy modern technology like lights and multi-media integrated into worship, there is one element that is often a distinct differentiation from our culture: Music. Let me be clear that I’m not talking about the lyrics or the content of the music (I think this is an important distinction that needs to take place – we are talking about singing psalms, hymns, and spiritual songs) but I am talking about the style (or as us musicians would say, the arrangement) of our music. How much of the worship music we play on a Sunday morning sounds like what our guests heard on the radio on Saturday? Which of your songs sounds like the newest Taylor Swift single? In the last 5 years, how many songs have you introduced to your church in the same style as “Uptown Funk” or “Happy” or “Shake it off”? These have been some of the most well-recognized songs in our culture in the past 5 years. How many songs do you hear on the radio that are driven by a drum beat that is tom-fills as the main rhythm like many current worship albums? 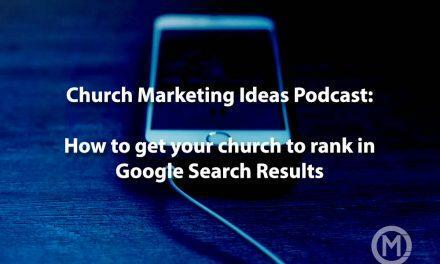 I’m not suggesting you play the songs you hear on the radio and change the words for church. I’m not suggesting that all churches have to sing songs that sound like top 40 charts. I’m not suggesting you try and ‘become’ a style of music that doesn’t suit you. I’m not suggesting you shouldn’t do the latest song from your favorite worship band because it doesn’t sound like a top 40 song. I’m not suggesting you throw out your music library and start over, or never play a song you’ve heard on a worship album that’s unique to what we hear on the radio. If your church values a style of music that is different than what’s on the radio, then own that – whether that’s hymns, southern gospel or something else. We love you. We need you. You are connecting with people that others aren’t. 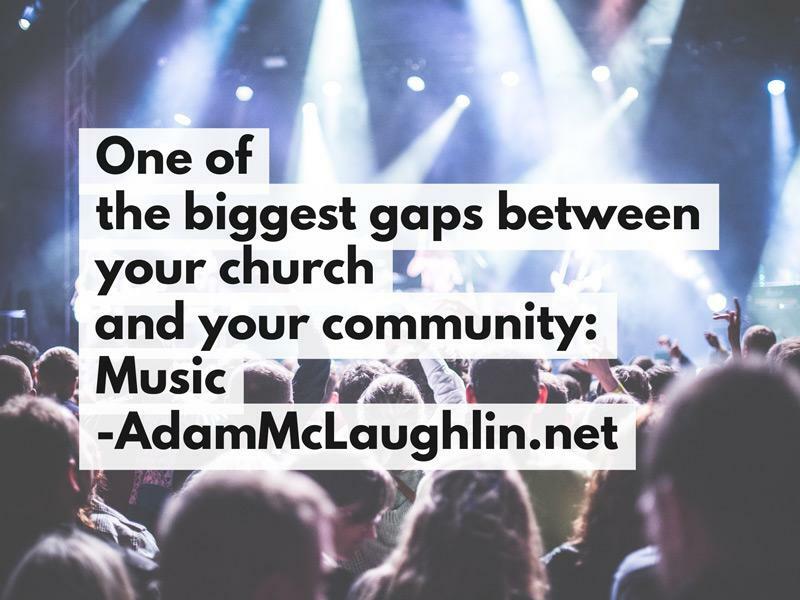 If you are a church whose heartbeat is to make your experience feel ‘familiar’ to the unchurched person, then listen to the types of music that your community listens to – maybe that’s country, or hip-hop or top 40 pop. After that, listen to a recording of the songs your church played on Sunday. Are they anything alike? Can a first-time guest relate to the style of music they hear in the first song? In the 60s, Motown wanted to break the cultural barrier between segregated radio stations. They wanted to reach a wider audience, which in turn would allow them to sell more albums and concert tickets. Each week, they recorded a new single. Motown put out A LOT of music in the early days. On Monday, they sat down and listened to the top song on the radio from the previous week from the popular stations to analyze it. This could be as simple as “In the chorus, there’s a tambourine on every beat” or “After the verse, they used this kind of chord for 4 beats before going into the chorus” or “after that first chorus, there’s a saxophone solo.” They would pick one or two elements from the past week’s top songs and incorporate them into their own single for the following week. They were working to incorporate familiar elements into their new music to make listeners comfortable with the similarities. Using these techniques, the DJs on the other stations started to play more and more Motown music as the elements started to cross over. Motown didn’t compromise the soul in their music, they didn’t change the theme of their lyrics or change how they dressed, but they did work hard to find common ground. The TV show Glee did something similar by taking Journey classics from the 80s, redoing them with modern effects, rhythms, and styles, and revitalizing Journey’s touring career! Without compromising the lyrics or message of the song, they presented them in a way that was relevant to their audience. How could this work in our worship? Listen to the most popular radio station in your community. What kinds of instruments do you hear? What kind of drum beat? What effects are being used on the keyboard or guitar? Which vocal effects are being used? What is the tempo of most songs that people seem to request or blast out their car windows? What do the intros of the most popular songs sound like? Pick one of these elements and this week integrate that element into your first song this Sunday. Then, play your other songs as you would have. This will build a framework of familiarity for your guests as they recognize common musical elements to what they hear during the week. Do the same thing next week. I would love to hear your thoughts. What isn’t clear to you, or what do you think you could work on this week to enhance your guest’s experience of your music? PreviousAll things Church Announcements: Talking with Church Training Academy!